SAN JOSE, Calif. (KGO) -- Lots of game-related activities planned for fans in downtown San Jose leading up to next week's College Football Playoff National Championship. Fan fests, concerts and a 5K run also mean lots of road closures. 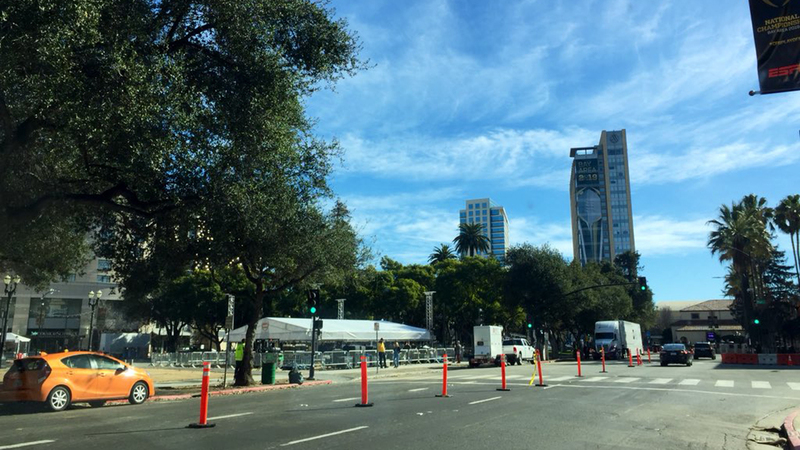 Market Street around Plaza de Cesar Chavez and San Carlos Street between the San Jose McEnery Convention Center and Highway 87 will be closed much of the week.